If sharks could write they would have complained long ago to the Press Council about having their reputation maligned by sensational, unbalanced, media over-coverage of a tiny number of human deaths caused by sharks each year compared to the mass slaughter of sharks by humans worldwide. Every year sharks kill about 4 humans worldwide but humans kill an estimated 70 million sharks – which group should be more afraid of the other? Agence France Press (AFP) reported recently that “the insatiable Asian appetite for shark fins, which make their way onto ostentatious dinner tables in Hong Kong, Taiwan and Japan [could have] dire results for a marine ecosystem regulated by the predator for some 400 million years”. According to the National Museum of Natural History the risk of being killed by a shark attack is a tiny fraction of the risk that a defective toaster will kill you. According to US National Oceanic and Atmospheric Administration (NOAA) despite their scary reputation, sharks rarely ever attack humans and would much rather feed on fish and marine mammals. Only about a dozen of the more than 300 species of sharks have been involved in attacks on humans. Sharks evolved millions of years before humans existed and therefore humans are not part of their normal diets. Sharks primarily feed on smaller fish but some species prey upon seals, sea lions, and other marine mammals. Thats very sad. 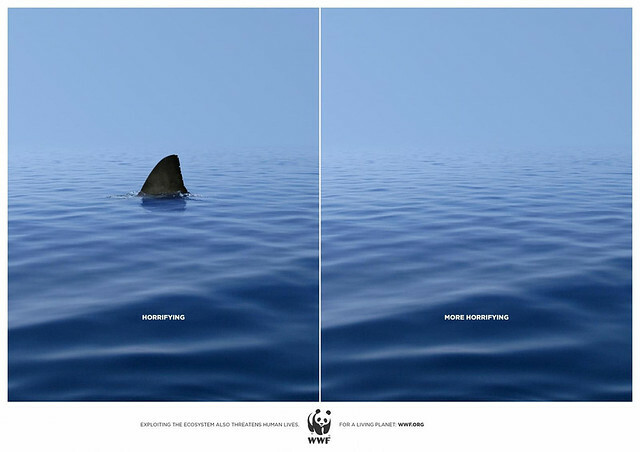 But WWF and Sea shepherd are doing a great job. What do you think? Hi Neerav. This is so true. Your article is spot on. I loved the toaster clip! Quite informative article on Shark. Clips are good. People should now afraid of killing it.